This warm and inviting home offers comfort, space and ease. Could be the show suite! When original owner purchased, the main floor plan was upgraded to show off a large kitchen 'open' concept... granite counters, an island with an eating bar, tile backsplash, under counter lighting, stainless steel appliances and abundance of windows.... An Immaculate Beauty. Bright, spacious townhome offers four bedrooms and three bathrooms. Two fireplaces (one gas and one electric), Two decks, Two garage doors, gorgeous wood floors in the main areas, plush carpeting in the bedrooms, tile in the kitchen, bathrooms and entry areas. Crown mouldings and blinds on all the windows. 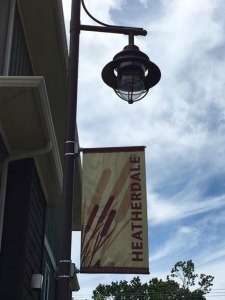 Heatherdale Estates is meticulously cared for. Pet friendly and rentable.